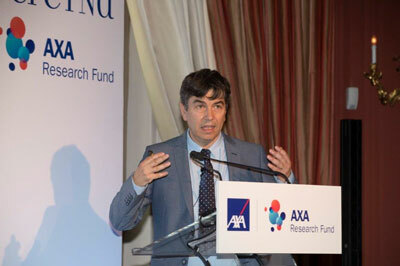 The first AXA Chair on Epigenetics in Greece was announced on Monday, 10th of July at a formal event organized by AXA Hellas on the premises of the French Embassy in Athens. The AXA Chair will be supported with the amount of 1.200.000€ for 12 years at the Institute of Molecular Biology and Biotechnology of FORTH. An AXA Chair is granted through a highly competitive selection process and evaluation of proposals by three external reviewers nominated by the European Science Foundation (ESF). The AXA Chair scheme is intended to support a significant step change in the development of a Research area within a host Institution and to contribute in a distinctive way to the development of that Research area in line with the Institution’s long term strategy. Investing in basic research has multiplier benefits for science and society. The AXA Chair will provide significant support for the organization of a new research division at the Institute of Molecular Biology and Biotechnology of FORTH, which is expected to become a pole of attraction for young researchers. The research activities of the Chair will focus on understanding the basic principles of epigenetic mechanisms that regulate liver development, metabolism and the pathogenesis of liver cancer. The reversible nature of disease-related epigenetic lesions (as opposed to genetic defects) provide new bases for targeted therapeutic approaches. Epigenetic treatments are expected to provide significant breakthroughs in combating different types of cancer over the next decade. Rationally designed epigenetic drugs can also be combined with conventional chemotherapies. This "strategic combination therapy" can not only increase therapeutic efficacy but also reduce the likelihood of cancer drug resistance by paving the way for research into new ways to cure cancer with minimal side effects.